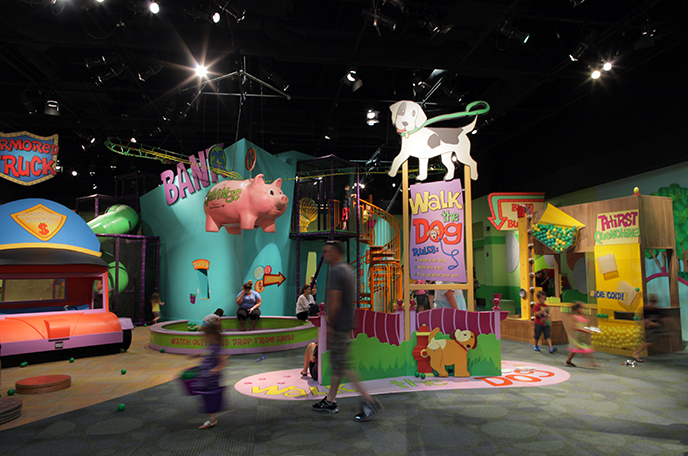 12 Awesome Exhibits at Marbles Kids Museum in Raleigh, N.C.
One of the most visited attractions in N.C., Raleigh&apos;s Marbles Kids Museum is a great place to take the kids for purposeful play. 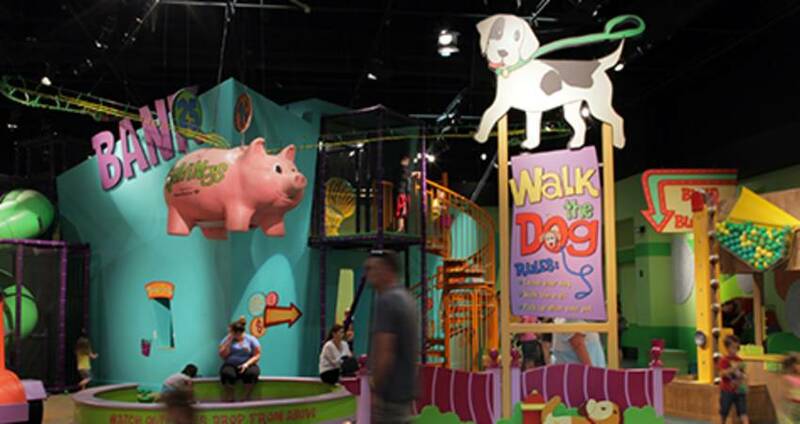 The interactive museum, downtown, features themed exhibits (for kids ages 10 and under) plus daily educational programs, special events and giant-screen IMAX films, all where they can imagine, discover and learn. As passionate mind and president/director Sally Edwards believes, "Children learn through discovery. Play is what makes that happen." Powerful play at work; this is an energy exhibit where kids are in charge. Energize your electricity smarts and take charge to power a bright future. A fun musical feature of the museum, Stepnotes is a colorful staircase turned into a giant piano, with each step being a piano key. Make music as you go from one floor to another! Perfect for warm weather days, TreeTunes is an outdoor exhibit with musical fun, and it&apos;s also the newest exhibit at the museum! Play the chimes, xylophones and bells with friends while you take in the great outdoors. Get a photo with your kids in front of the artful fountain! Discovering the power and fun of water. 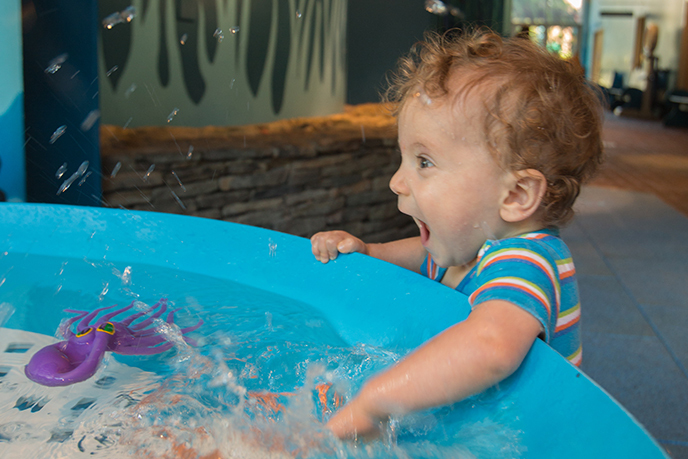 Both indoors and out, this is overflowing with hands-on experiences and experiments. Includes The Lighthouse; Under the Waves; Science Submarine; and The Blue Marble. Explore a pint-size version of a community—bringing a child&apos;s world down to size—where kids take charge with opportunities to imagine and explore how people work, live and play together. Includes Act I; All Aboard! ; Catch and Release; Exploration Station; Get Well; Hometown Grocery and Kitchen; Let&apos;s Fight Fire; News Around Town; On the Farm; Peek-a-boo Bay; Pet Vet; Ready, Set, School; and Speed Zone. A special place where little ones under the age of three are invited to discover the magic of the woods and explore at their own pace. A great place to practice crawling, walking and balancing on the meandering bridge; uncovering a pixie hideaway; or dressing up as a favorite forest critter. 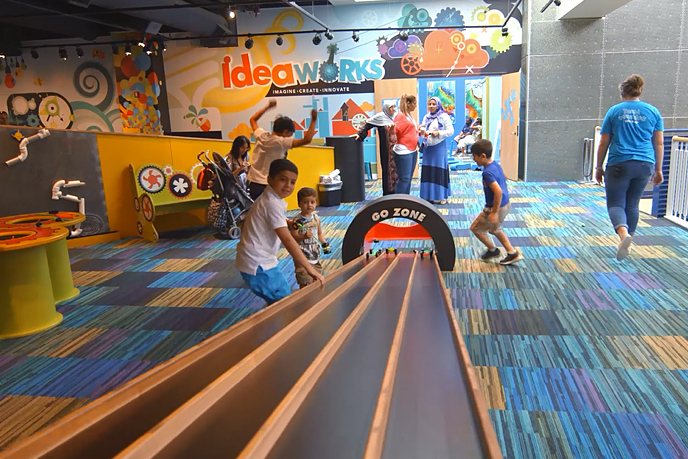 IdeaWorks puts imagination center stage—kids can discover the fun in physics by designing cars and creating tracks for race; they can become engineers as they imagine and construct forts, castles and houses; they can explore textiles, practice simple sewing techniques and dress paper kids in fanciful fabric; all this and more! Includes Go Zone; Super Structures; Work Bench; Studio Style; and Toddler Tools. See what&apos;s sprouting in the museum&apos;s real kids garden. Get hands-on with the garden and explore its habitants. Tiptoe into Fairy Hollow and harness the power of the sun with Power Flower, a 22-foot-tall giant flower powered by the sun with solar energy. Kids love the Sun Sprouts Fort! Encouraging free expression and creativity through painting, drawing, sculpting and exploring different types of artwork. Parents and kids can take their artwork home to share with friends and family or display it in the museum for other visitors to enjoy! Bringing to life the importance of establishing healthy money habits through innovative and high-energy activities. Kids play with smart ways to spend and save while having a wealth of fun learning to earn. Includes Pay Day; Banker Ben & Betty&apos;s Money Movers; and Freddie Frugal&apos;s Spending Smarts. Offers up hands-on play with colorful learning about science, technology, engineering and math. Includes brain teasers, science challenges, puzzles, math games and more! Provides play environments that promote physical activity and healthy choices for kids and families. 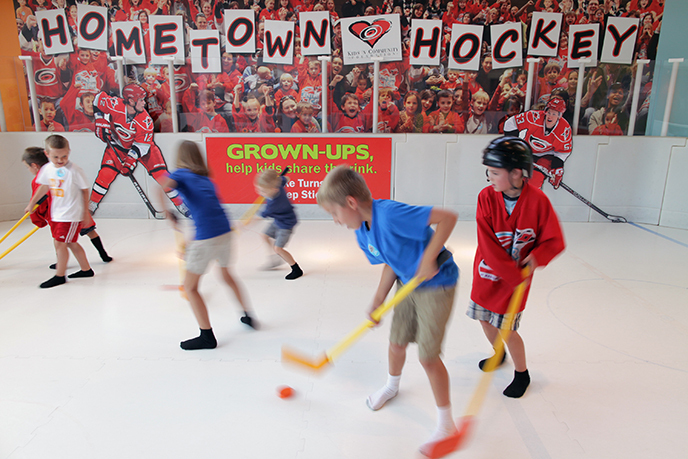 A highlight is the Center Ice section where kids can play hockey on a slip-and-slide rink or grab the mic and report on the action. Includes Center Ice; Workout Zone; Healthy Kitchen; Tumble ‘n Twirl; and Center Court. Plan a trip to Marbles today! Get more details and visitor info on the museum here.